One of the best standalone (non 5 star) Restaurants in Gurgaon that serves an honest & almost authentic Awadhi (Lucknowi) food in a very beautifully done Dining Hall with massve attention to detail on every aspect of the decor. 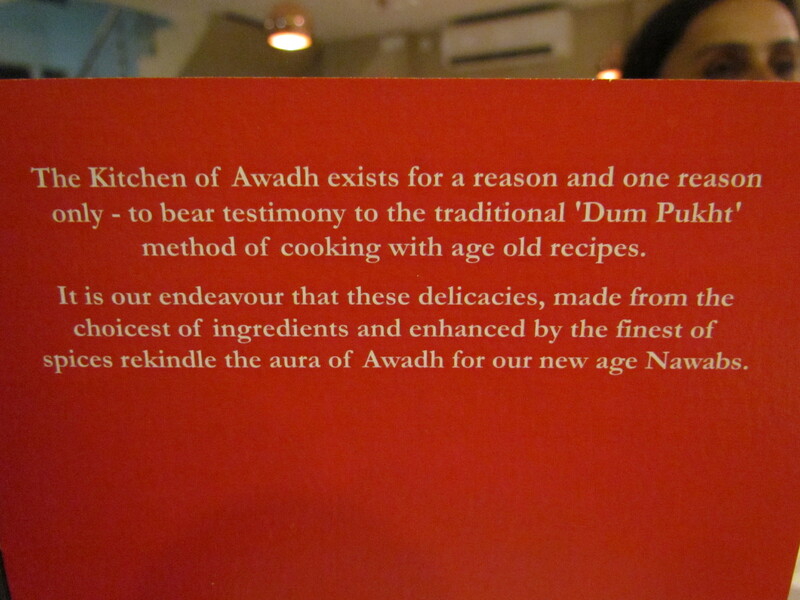 We came to know of Kitchen of Awadh thru a facebook friend of YUMMRAJ (never met him in person). 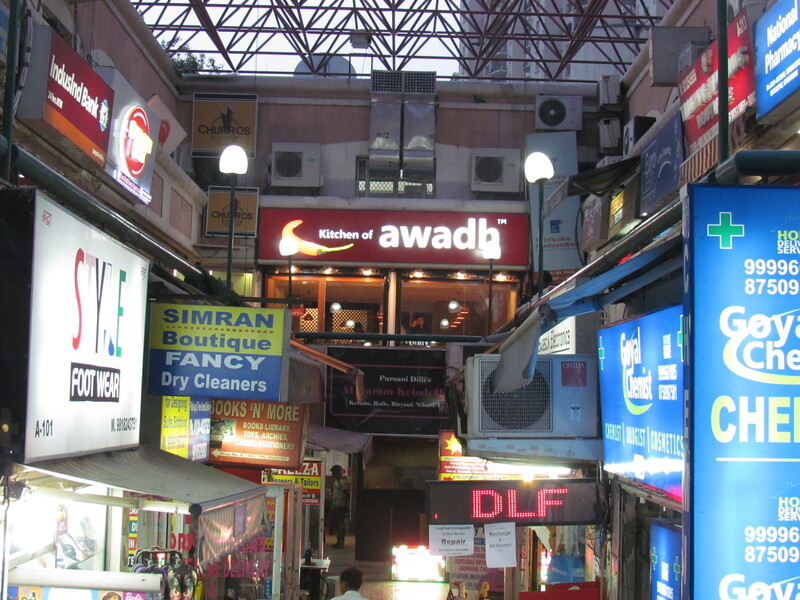 He had suggested to go & eat at Kitchen of Awadh delhi. 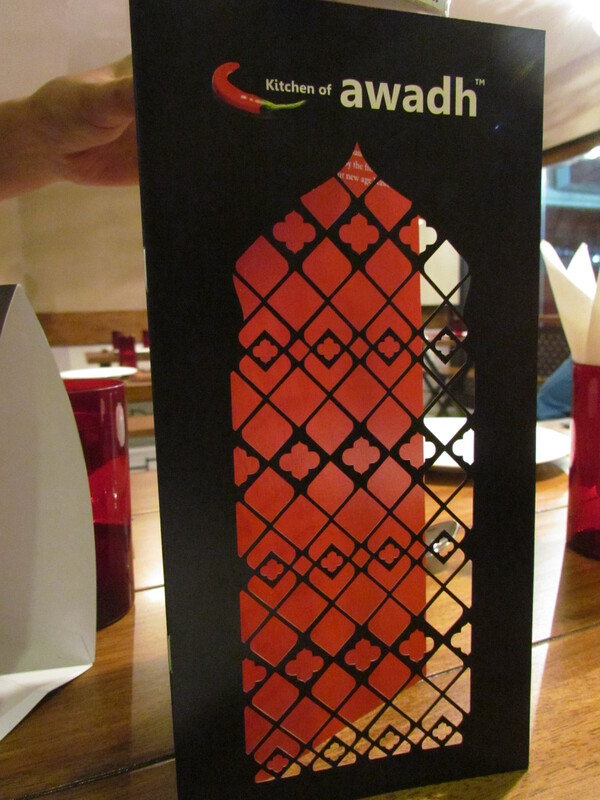 Pls read the review of Kitchen of Awadh Delhi here. Loved the food & ordered many more times, got it home for friends etc. 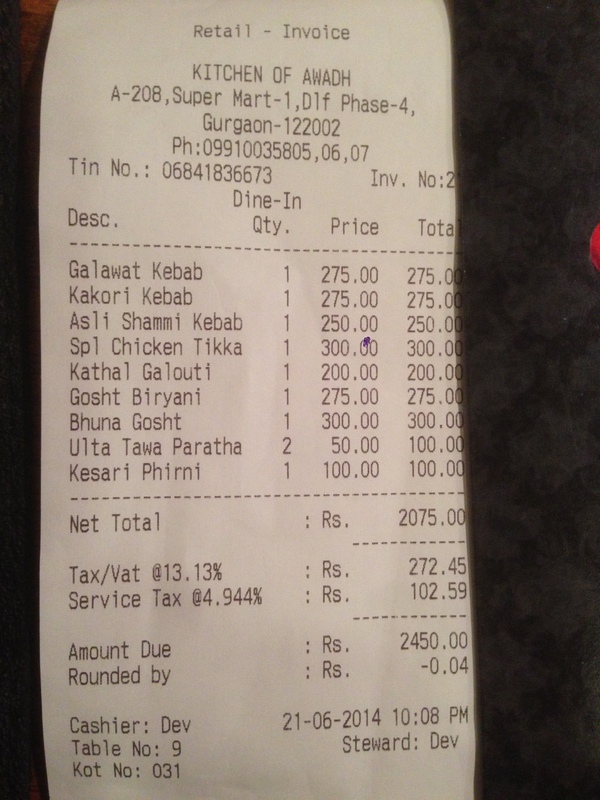 Gurgaon has very few good, authentic mid segment restaurants. So when we heard KOA is in Gurgaon, we jumped out of our sofa straight into the restaurant & ended up spending a lovely evening there. 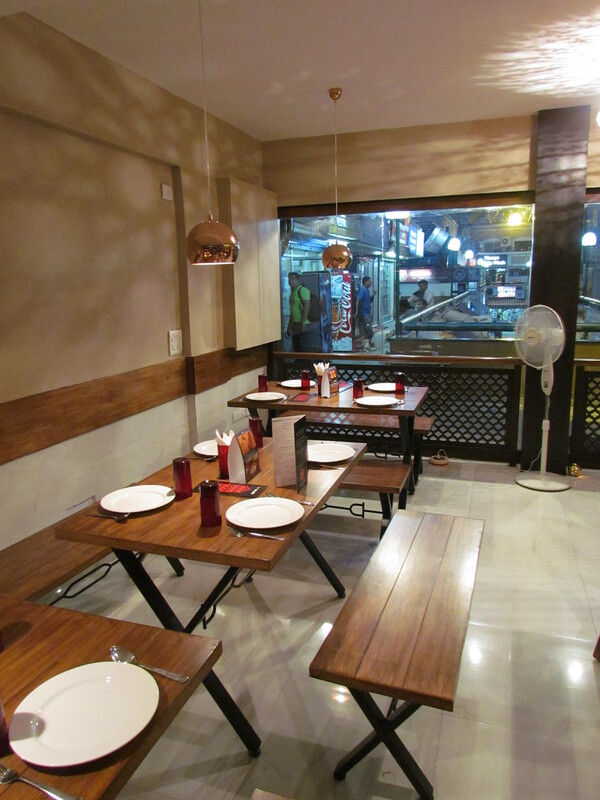 The Restaurant is located in the crowded supermart DLF ph4 which now houses quite a few very good regional food restaurants – Ki Hangla, Biryani blues, Bernardos & Mughlai restaurants like Al Karam etc. 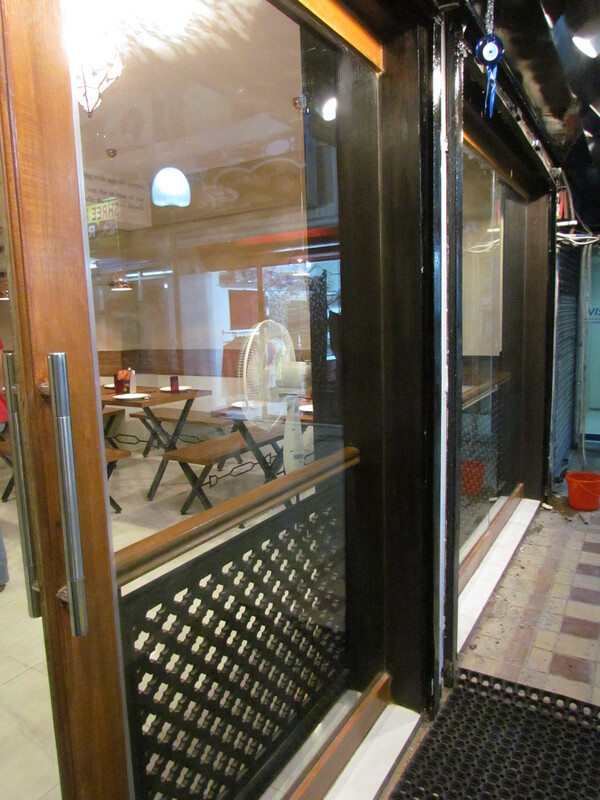 Signage of the restaurant is distinct & is visible very well from a distance. The décor has a Mughlai filigree style detailing on the window, side panels and on few other places. 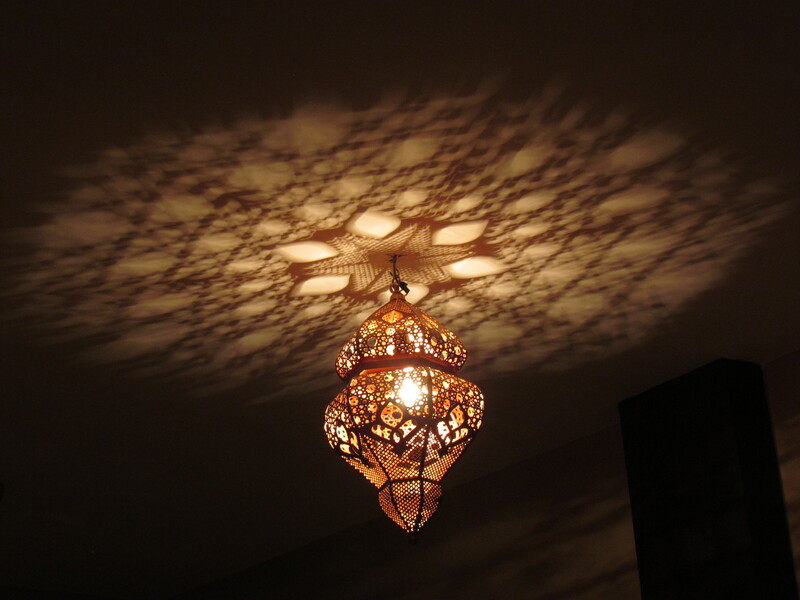 A nice chandelior creates a nice pattern on the ceiling. Furniture is modern, basic, wooden and good for sitting 2 hours. Menu card is worth a mention. I have come across very few such beautifully designed menu cards in this type of restaurant. 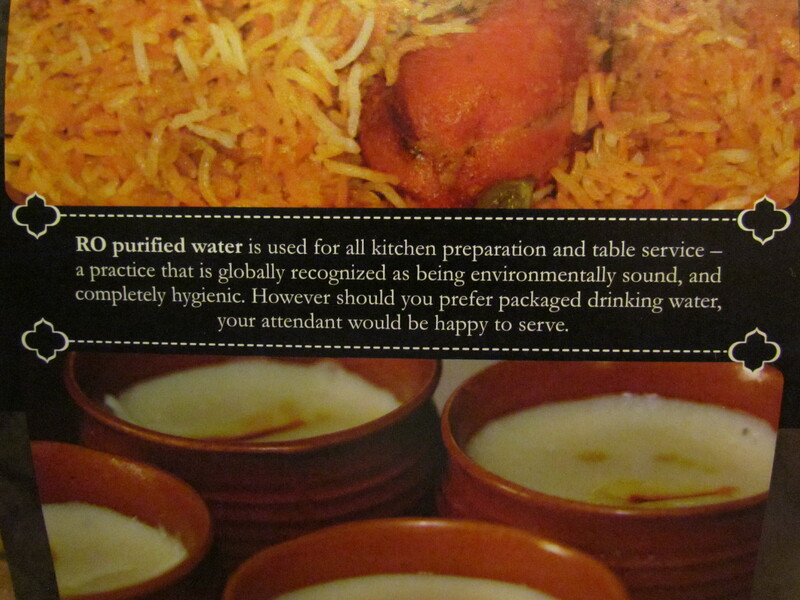 Sharafat ka zamana wapas – They write at the back of the menu card that they serve RO water & guests do not really need to buy bottled water. However they can buy a bottle, if they wish to. Waiting staff is nice & well behaved but will need quite a bit of rigorous training to face the ‘demanding’ guests of Gurgaon. Food is the center of attraction here. Good ingredients make their presence felt. Attempts to b as close as possibe the the real Awadhi food was visible. 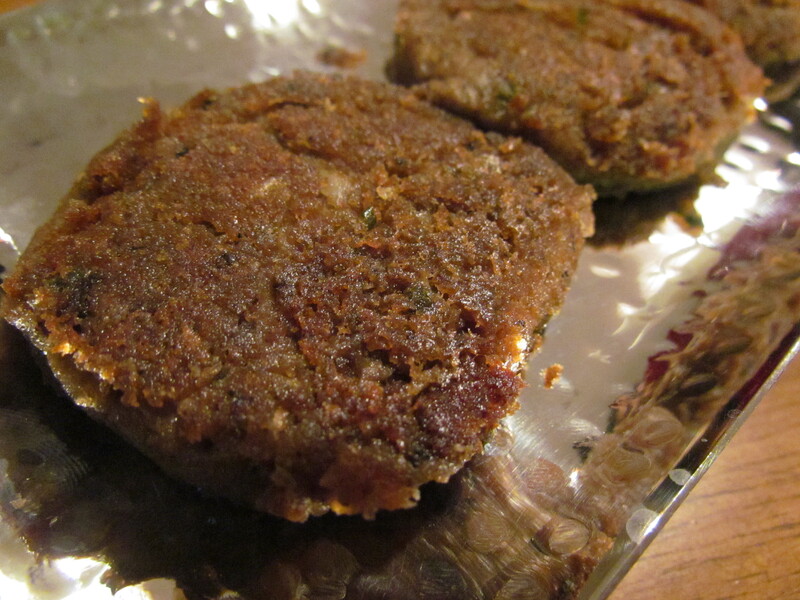 We started our evening with Mutton Galouti Kabab. It was super soft melt in the mouth , as expected. 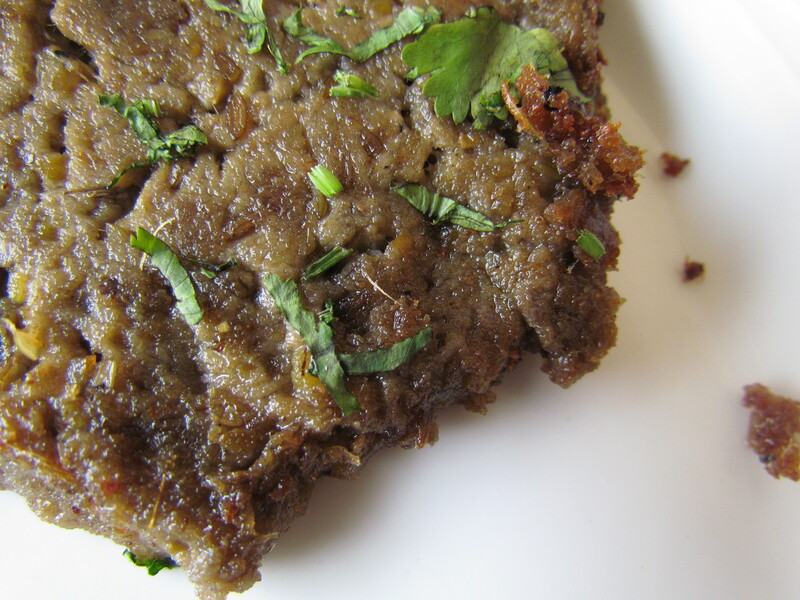 However it was so soft that it was quite a task to transfer the kabab from the tray to the plate. 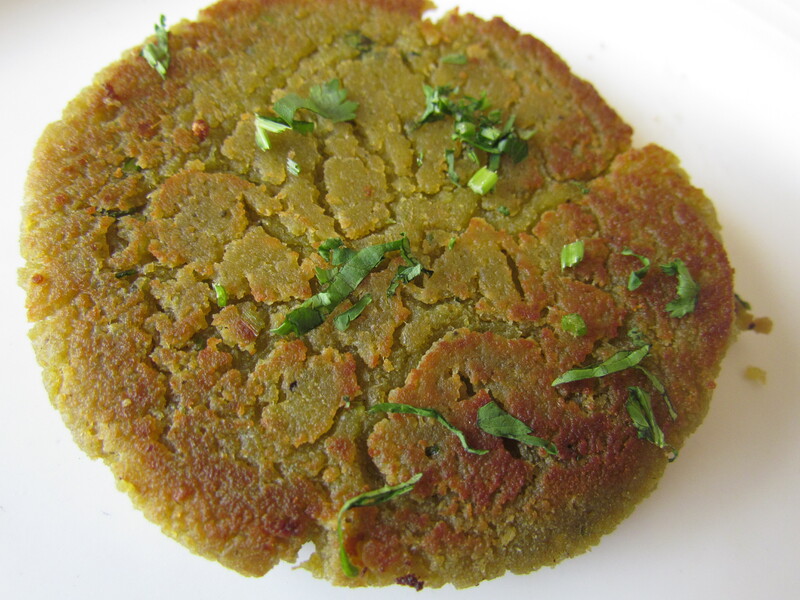 We enjoyed this with an excellent ulte tawa ka paratha made with desi ghee. 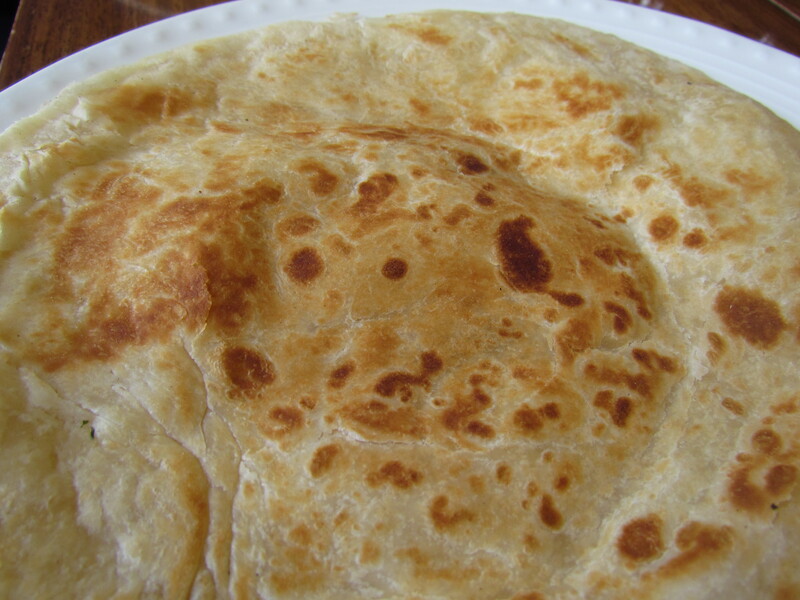 Flavors of the ghee were very enjoyable but the paratha was not ‘oily’. 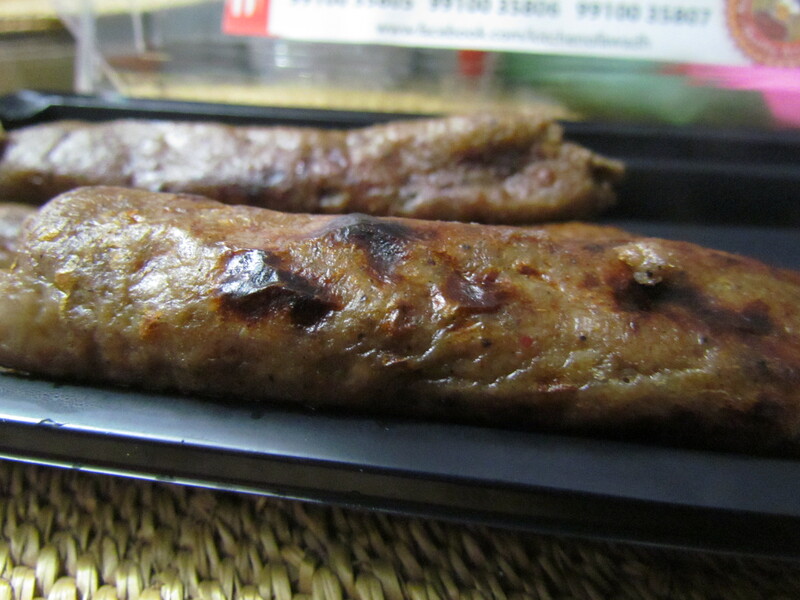 We moved on to Mutton Kakori kabab. 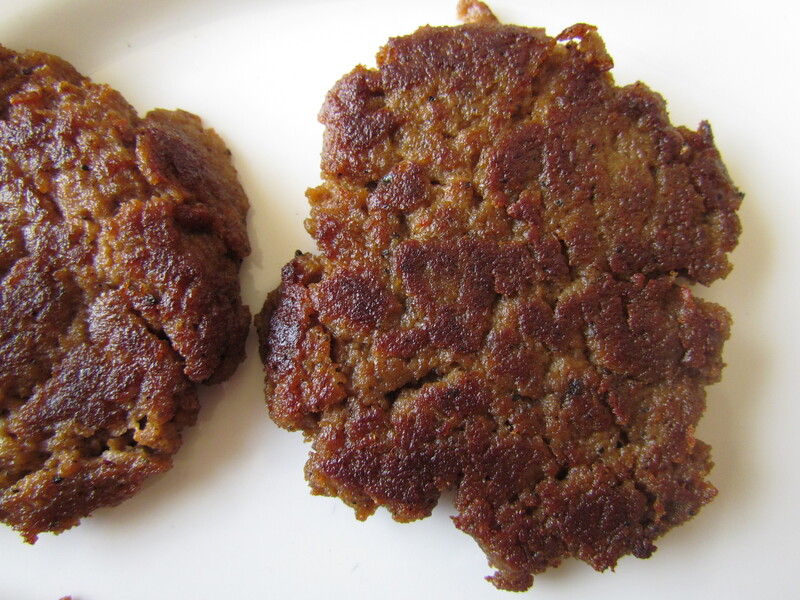 I have had better kakoris at Kitchen of Awadh in the past. 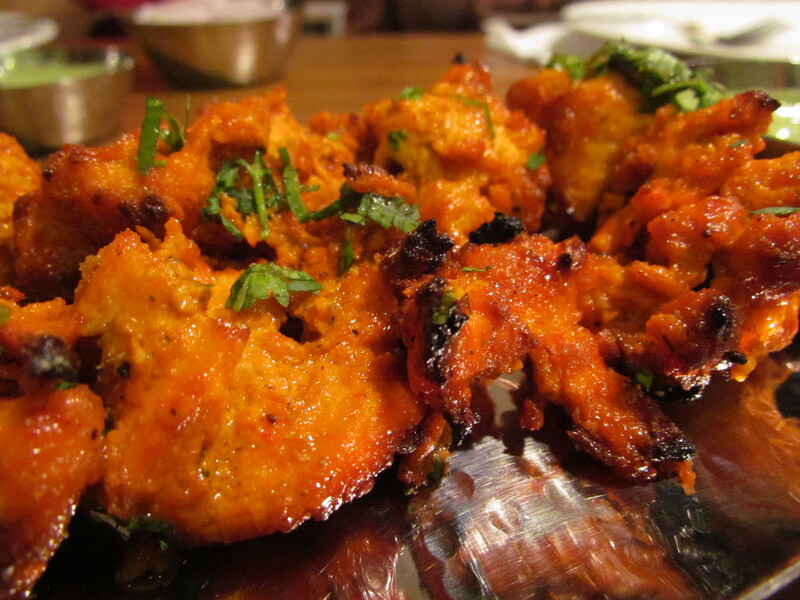 Revisited the Kakori – As good / even better than the best Kakori I have had at Kitchen of Awadh, Delhi. 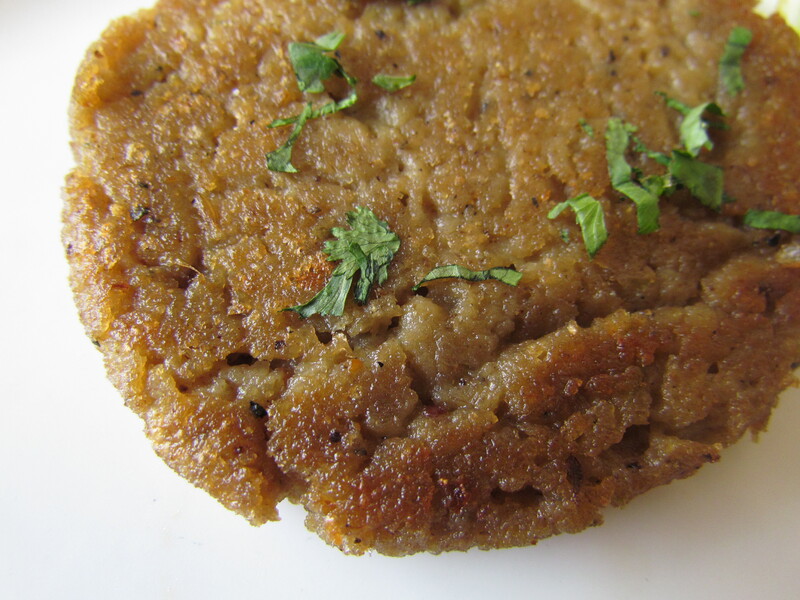 One of the finest Kakoris, to the West of Lucknow………………..Lajawaab. 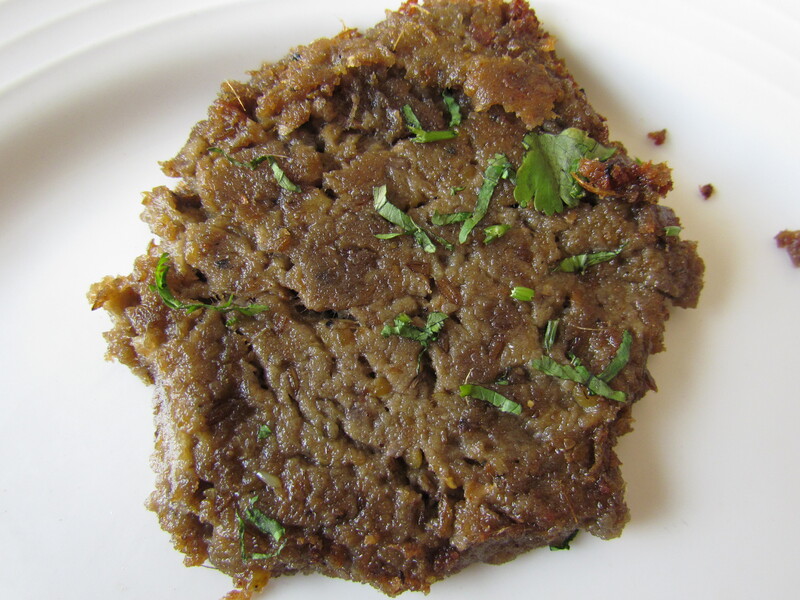 The amazing flavours of spices, the taste of good meat, a thin smoth layer formed during making of the Kabab & the overall smoked feel – mind blowing. 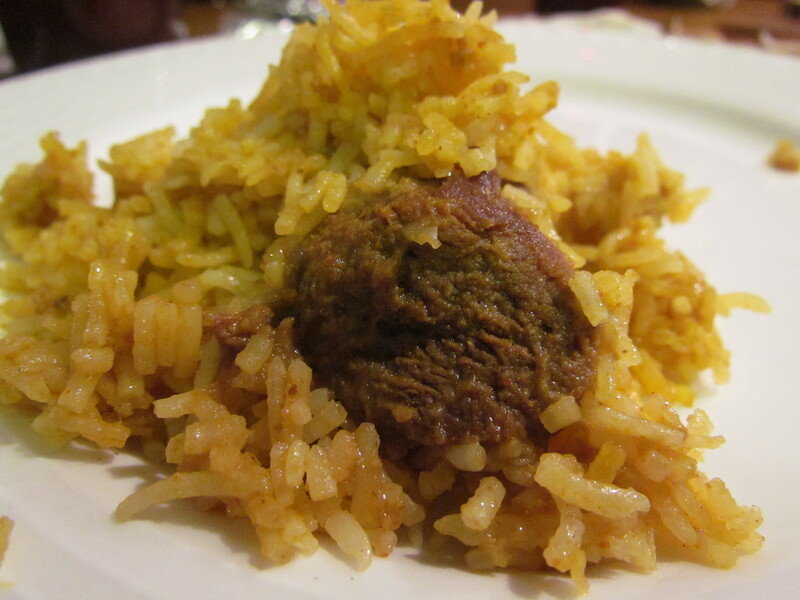 Next dish to hit our table was Mutton Dum Biryani. 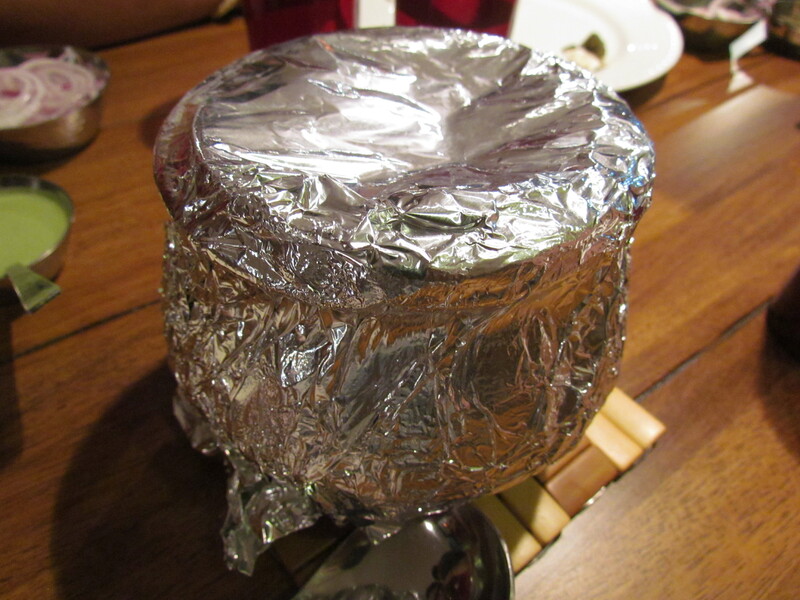 It was served in an earthen matka, wrapped with an aluminium foil. 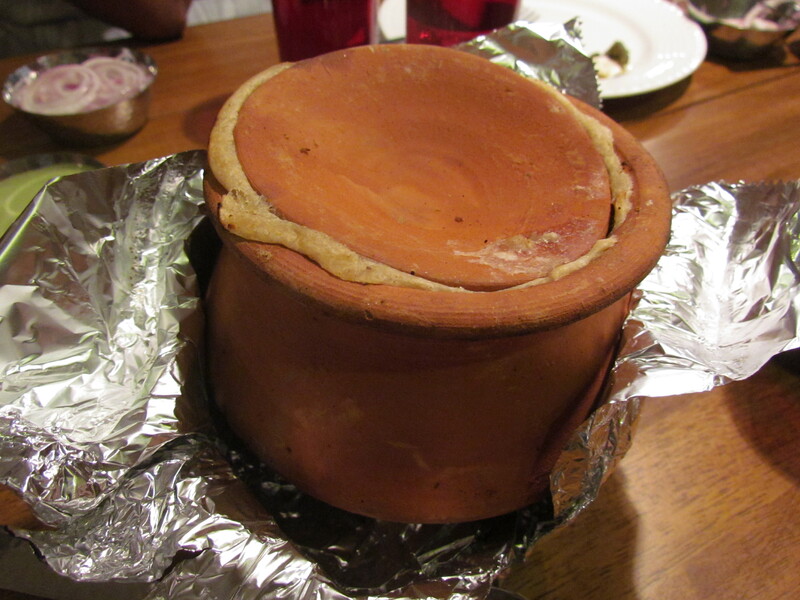 Once I unwrapped the foil, I found the cover of the matka sealed with atta. 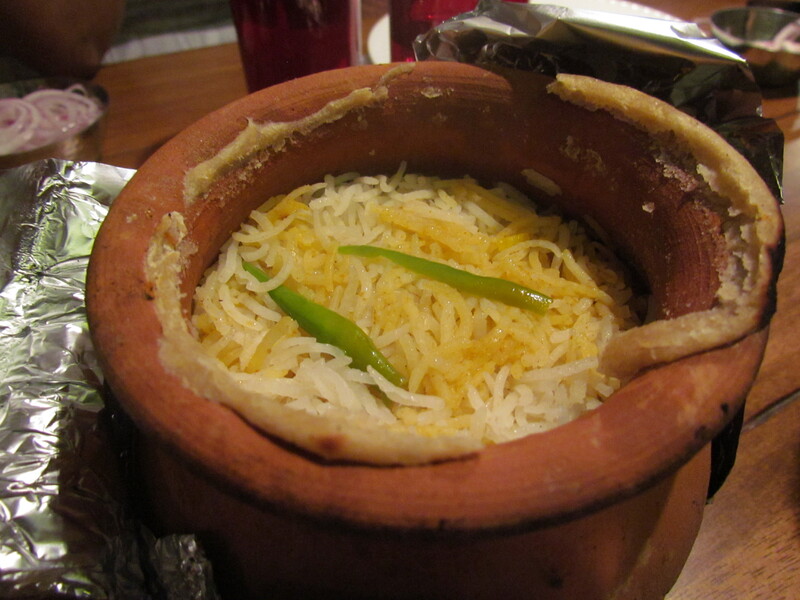 As soon as we opened the matka, the aroma of good biryani spread. 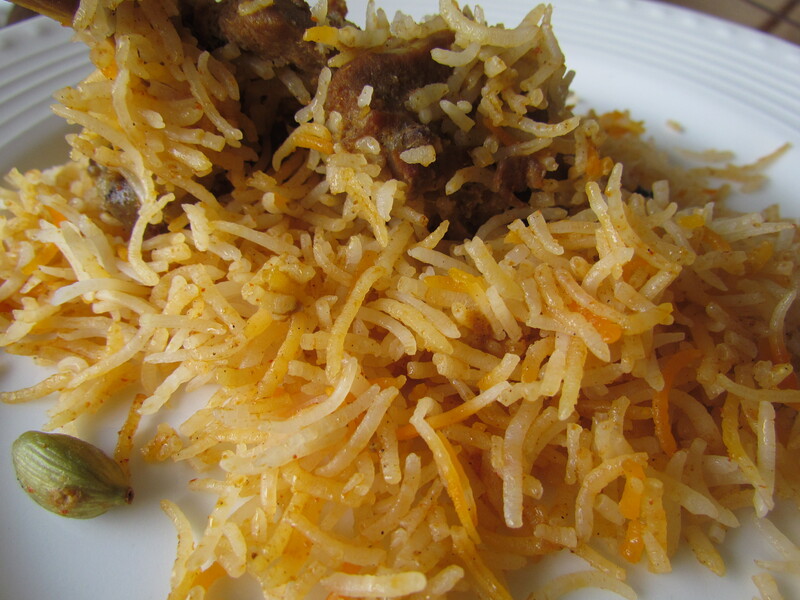 The biryani had long aromatic grains of rice that were independent. The rice at the lower layer had broken a bit & the one at the topmost layer was 90% as soft as it shud ideally have been. 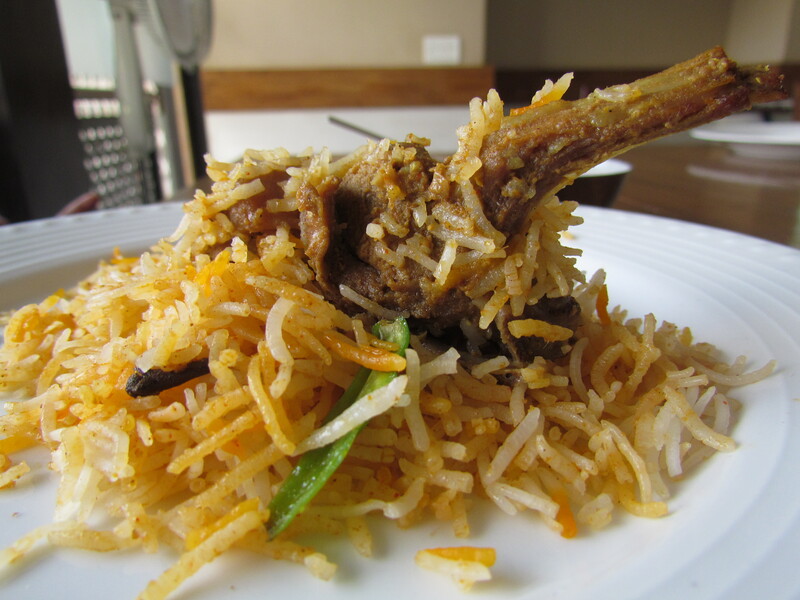 Overall rating of biryani averages out to 4/5. Went back months later & re-tried the Goshth biryani few times in succession. This time it was perfect in every way. The pictures will tell u that story. Last dish we had was Bhuna Goshth. Loved it. 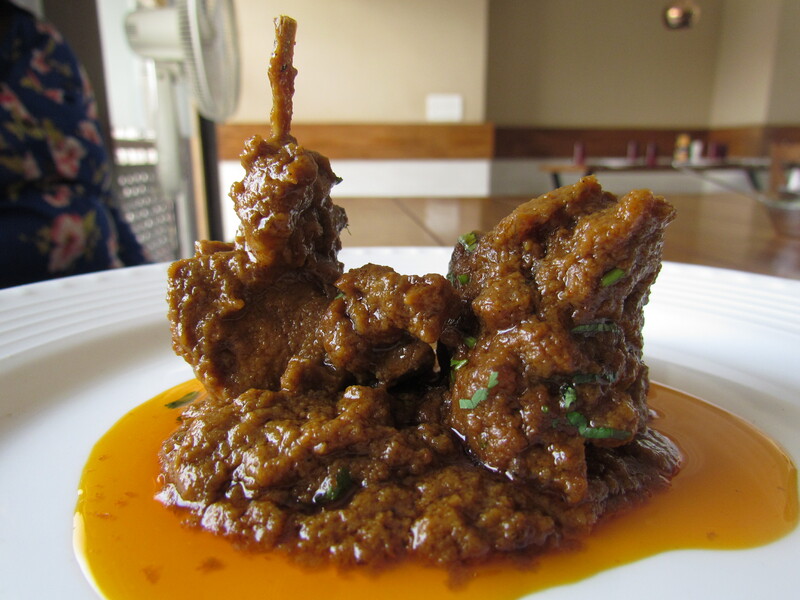 Sweetish taste from lots of onions, thick gravy, very soft & nice mutton pieces & really nice overall. Rate it 4.5/5. I wud surely revisit here. What r u thinking? Write in…. 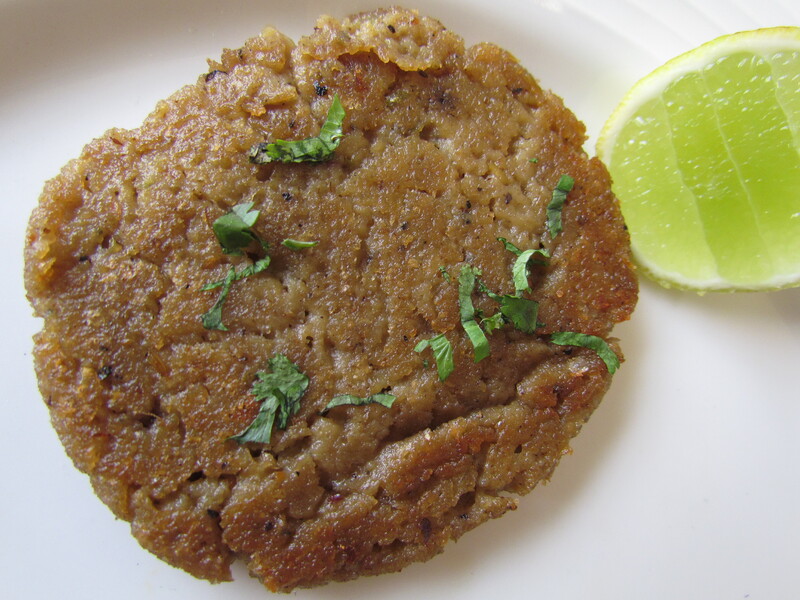 Jimikand ke kabab – A melt in the mouth , Galawati style kabab with nice balance of spices & excellent flavors. 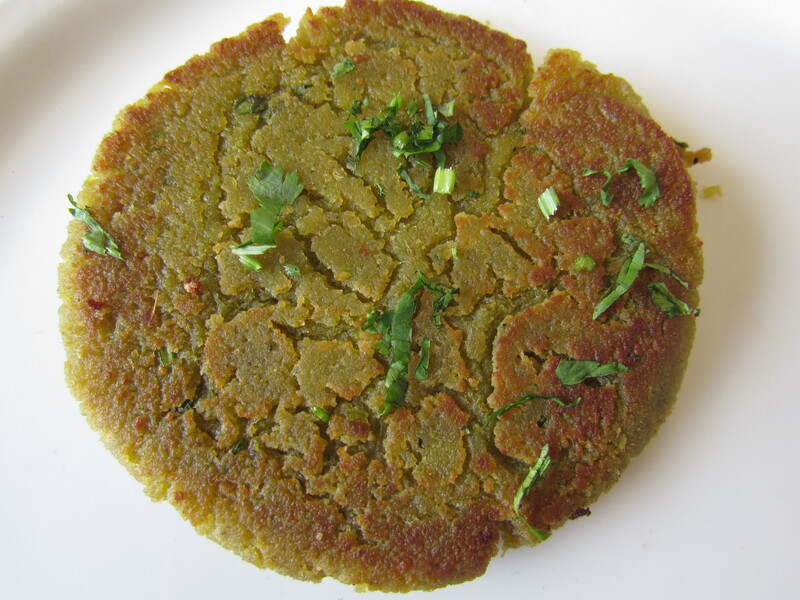 It needs great imagination & expertise to come up with such a nice dish from the humble Jimikand. 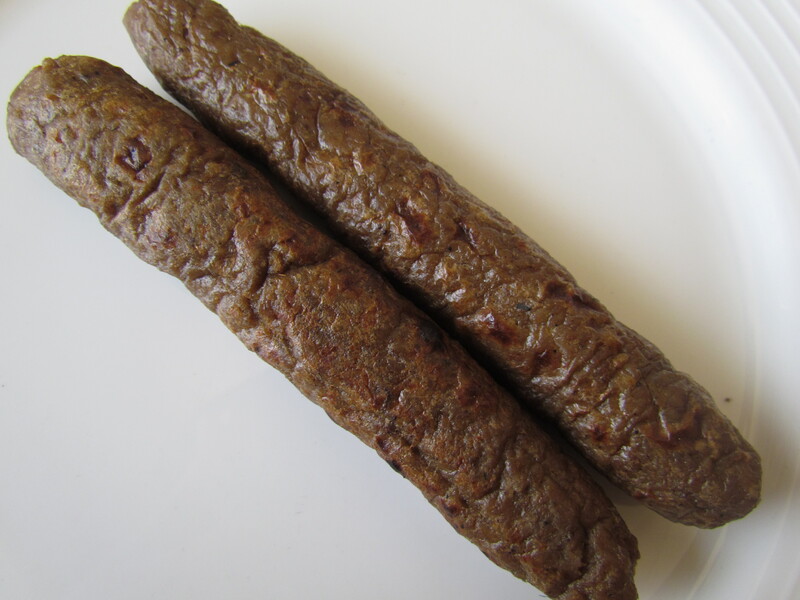 However for non vegetarians, Mutton Galawati tastes much better than this. For vegetarians, this is as close a substitute as it can get. 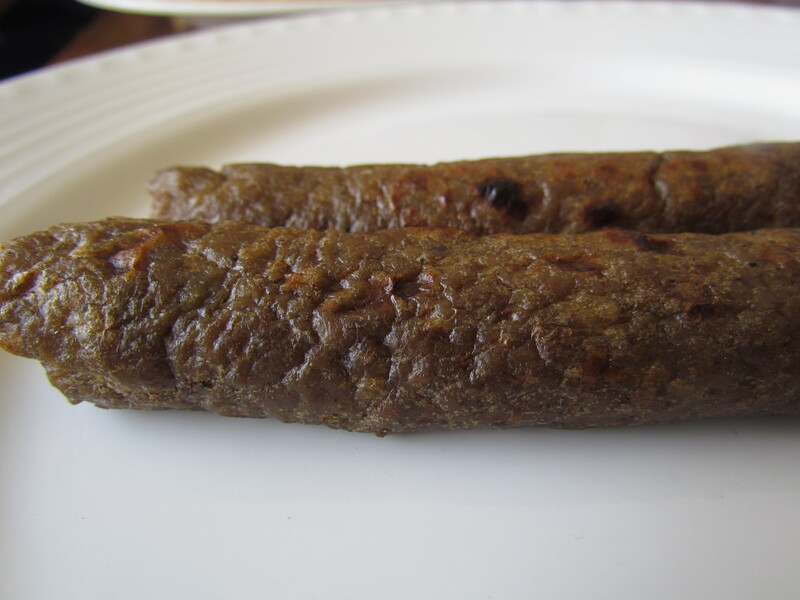 We also tried tried Dal ke kababs. These were good & soft but not as soft as the jimikand or Kathal. 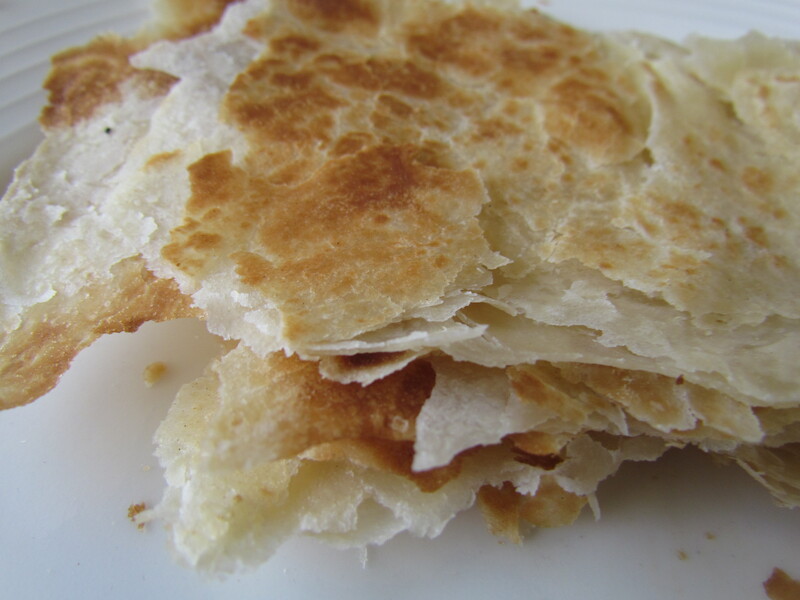 Loved the way the outer layer was crisp & the softness inside. 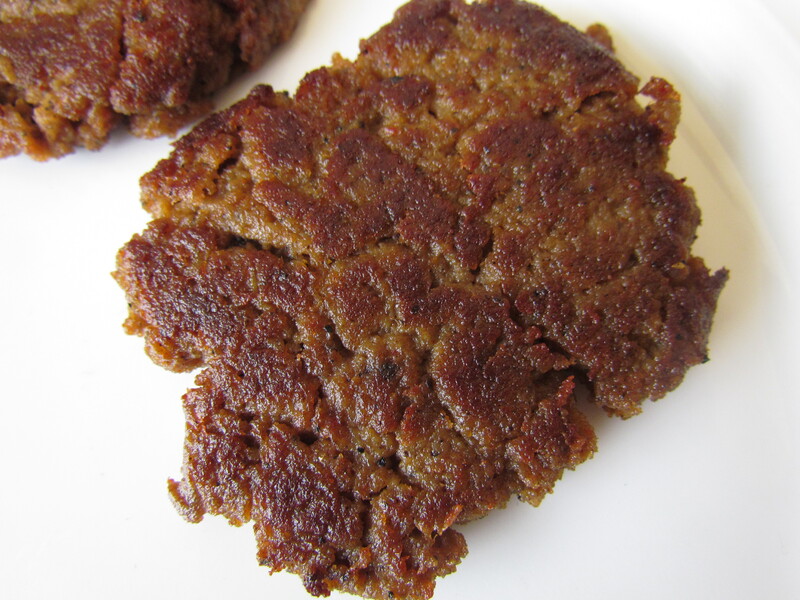 An item that I found good several times was Lucknowi Murg masala. 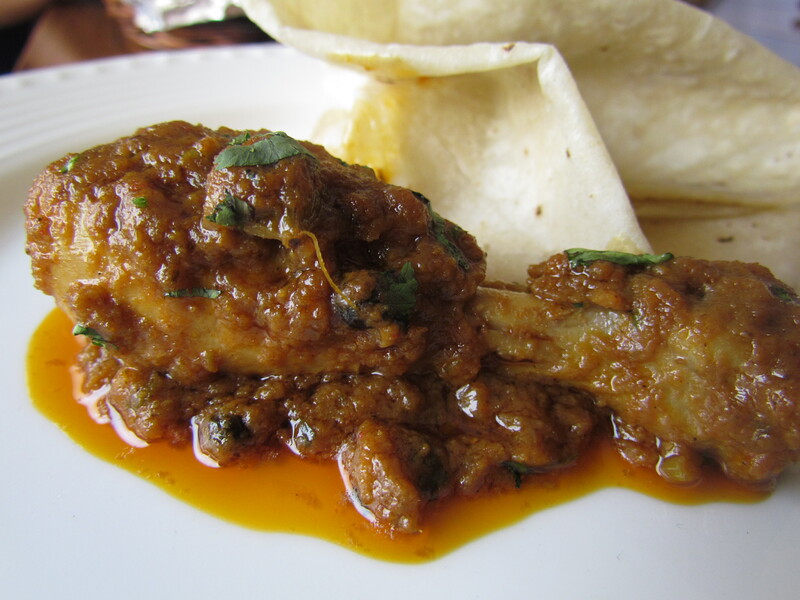 Super soft & tasty chicken pieces with an excellent gravy with lots of onions in it. The onions add an element of sweetness that is totally enjoyable. 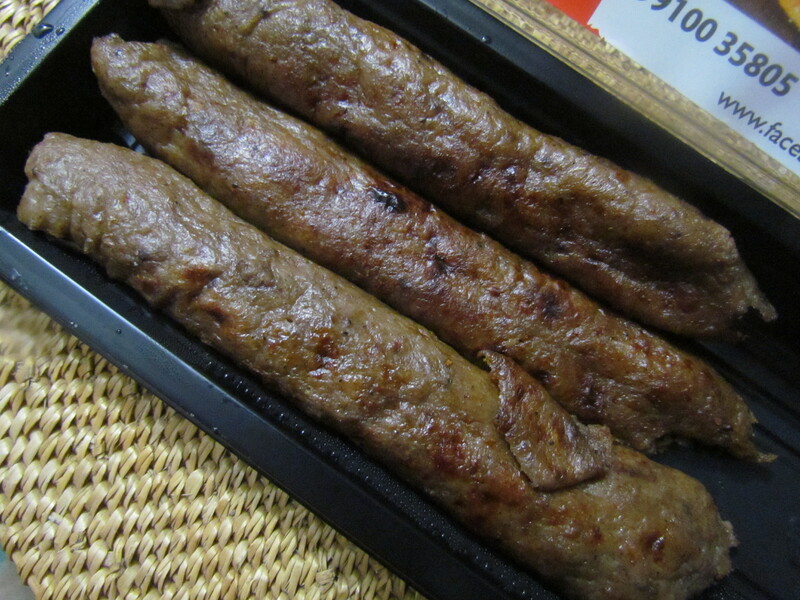 Also tried the Paneer Tikka on few occassions. Love it. 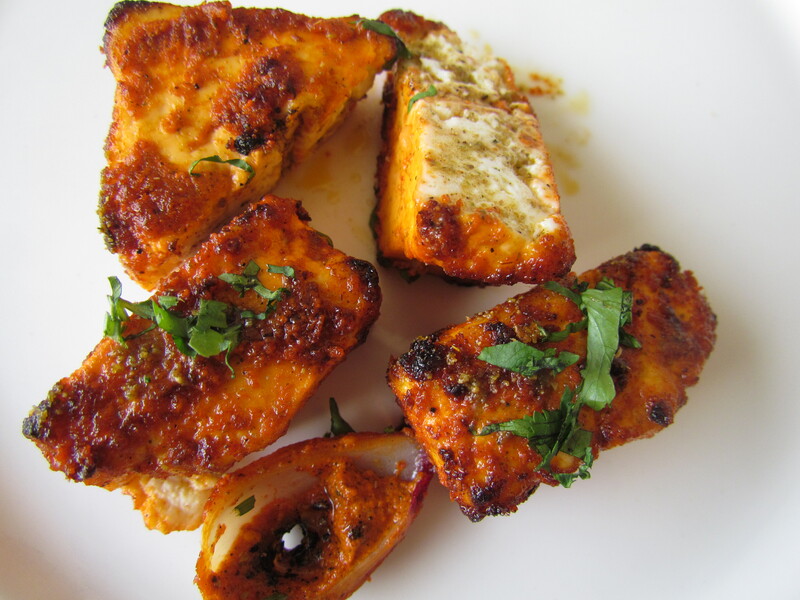 Super soft melt in the mouth paneer with the right amount of spices & perfect charred texture. Thanks Yummraj, we are thrilled to have you review us and feel so humbled by your comments. It is very encouraging, and this helps us to strive better…thank you once again!! Hi Kamal, I just narrated my experience that unfolded on my plate that evening. U guys surely did a great job. Pls keep up the good work. sit in & eat is surely better option. If u r thinking of trying, better not to take away but to sit & eat there. Thanks for updating your experience, a must try place.. Incredible again! Sitting at work here and can’t help drooling over the pics and descriptions! Absolutely yummers! I wish I had such amazing options near my office. Although there are other great places in Bangalore. 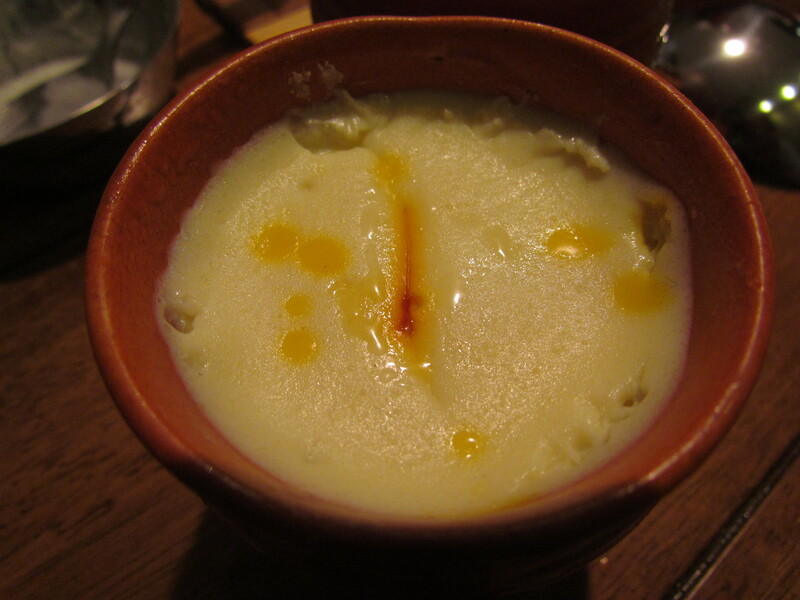 It’d be great if you could share a review of the restaurants in Bangalore if you’ve been to any. Hi Vidya, I keep going to Bangalore on work but never end up having a good meal as I am on the go constantly. Will try in future. Wud actually love to do that but hv not been successful so far.